5G Brasil is hosting the 6th Global 5G Event – 5G Technology Changing Paradigms of a New Society – with other leading 5G organizations from China, European Union, Japan, Republic of Korea and United States of America on November 28-30, 2018 in Rio de Janeiro, Brazil. Rio de Janeiro, RJ – 30 August 2018 – 5G Brasil will host five leading global organizations, committed to bringing 5G technology successfully to their country or region, by offering collaboration and cooperation in a public symposium hosted for the first time in Latin America. 5G Brasil announced today the 6th Global 5G Event – named 5G Technology: Changing Paradigms of a New Society. The event will occur from November 28-30, 2018, with limited capacity and the venue will be Pestana Hotel, at Copacabana Beach, Rio de Janeiro. The Global 5G Event is an event where the world’s leading 5G organizations will discuss the latest research and development achievements and views on 5G. About 50 experts from around the world, including business leaders, researchers, engineers, professors, technical experts and policymakers, will present their views on 5G in eight panels and four keynote sessions. The following aspects on 5G will be addressed: government policies, challenges, opportunities, spectrum harmonization, regulatory issues, standardization process, research and technological trends, infrastructure, trials, precommercial launches, vertical markets and use cases. Confirmed speakers and panelists will be announced in September. Jose Marcos C. Brito, General Secretary of 5G Brasil, said, “The 5G networks are becoming reality. The 6th Global 5G Event will be a great opportunity to know the planning of deployment of these networks in the main regions and also to discuss the evolution paths for the scenarios not yet considered in the standardization process”. The Fifth Generation Mobile Communications Promotion Forum (5GMF) was founded on September 30 2014. 5GMF has been conducting research & development concerning 5G (The fifth Generation Mobile Communications Systems): including the standardization thereof, along with liaison & coordination with related organizations, the collection of information, and the dissemination & enlightenment activities. Towards 5G realization by 2020, these activities will contribute to the sound development of the 5G Eco-society. The IMT-2020 (5G) Promotion Group was established in February 2013, with the support of three ministries of China (the Ministry of Industry and Information Technology, the National Development and Reform Commission, and the Ministry of Science and Technology), based on the original IMT-Advanced Promotion Group. It is the major platform to promote the research and development of 5G in China. Its members include the leading operators, vendors, universities, and research institutes in the field of mobile communications. 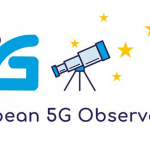 The 5G Public Private Partnership (5G PPP) is the 5G collaborative research program that is organized as part of the European Commission’s Horizon 2020 program – The European Union Program for Research and Innovation. It is aimed at fostering industry-driven research, monitored by business related, technological performance and societal KPIs. The 5G PPP will deliver solutions, architectures, technologies and standards for ubiquitous next generation communication infrastructure over the coming decade. In the 5G PPP, the 5G Infrastructure Association (5G IA) represents the private side and the European Commission the public side. associates (including operators, manufacturers, research institutes, universities, and companies associations) involving more than 120 professionals. The activities of 5G Brasil are performed by a Steering Committee and by five thematic commissions: Research and Use Cases, PreStandards, Backhaul Infrastructure, Future Frequencies Bands, Verticals Regulatory Actions and Market Actions. The 5G Brasil Project advocates the inclusion of a fourth scenario for 5G networks: 5G for remote areas.